I have hand painted this lovely tanned rabbit skin. 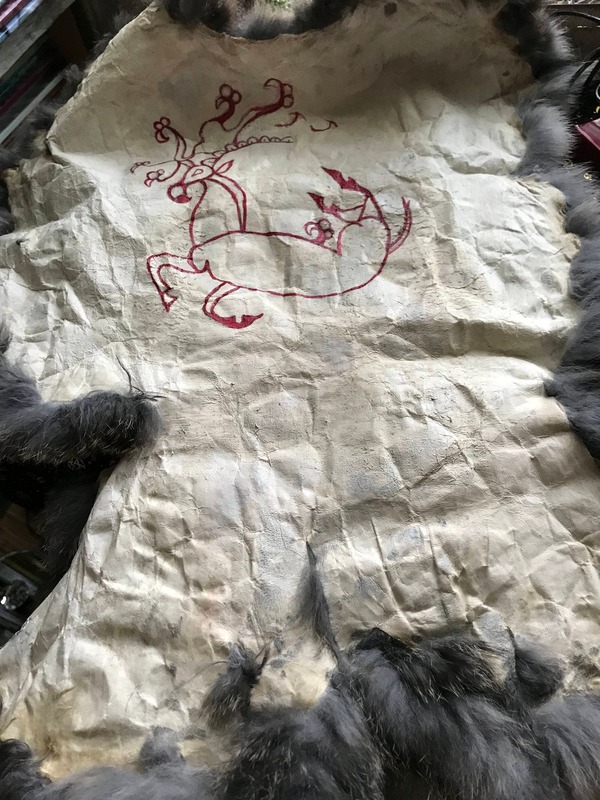 The fur has been tanned using natural methods as described by Daniel Boone. It gives the tanned skin a primitive look. The skin also has the full tail attached. 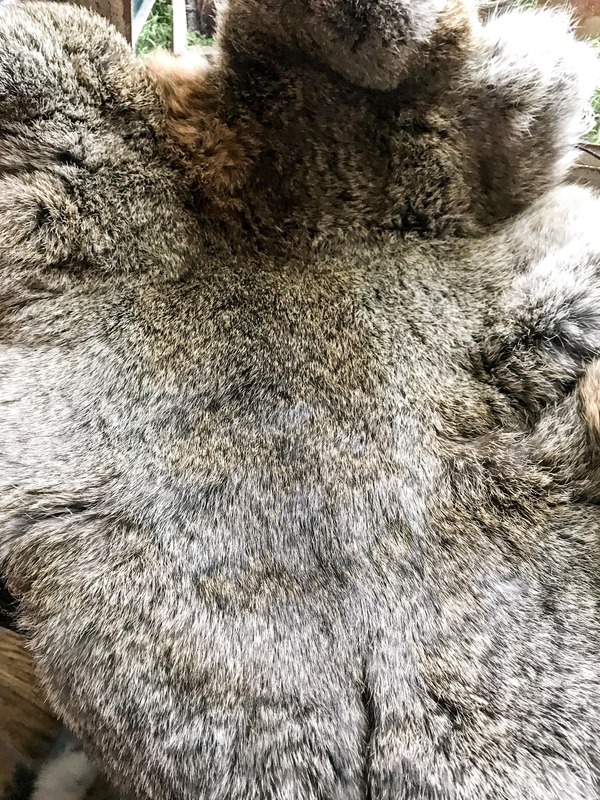 The skin is tanned a thick fur in a beautiful brown and gray coloring. It measures 16 inches at the longest point, and 12 inches at the widest. 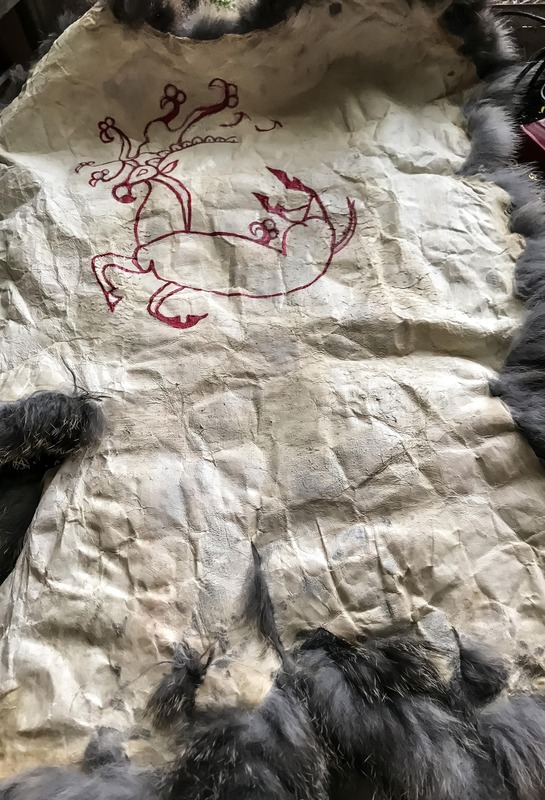 I have hand painted the Scythian/ Pazyryk griffin deer on it in red, mixed with a medium and then heated so that it is waterproof. 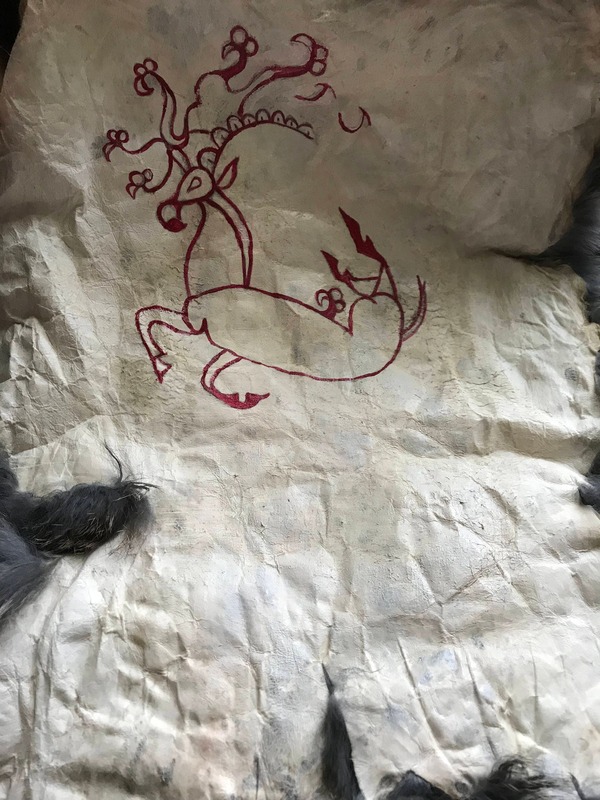 If you would like any runes or small sigils added to it, I can also do that for you, just message me.